Ahead of Bridge to Bridge I needed some open water swimming practice so I headed to the West Reservoir in Stoke Newington for an early morning 3 km swim as part of the Capital Tri series. 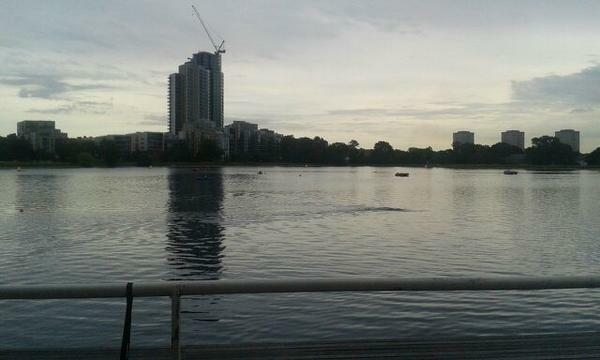 The 3km swim was made up four 750 metre laps around the reservoir. On part of the lap there is a lot of green foilage just below the water line. This can be slightly disconcerting as your hand touches ‘stuff’ on every stroke and when I turned to breathe there was the same gunk all over my face in scenes not unlike the face huggers from the Alien films. I was quite pleased to swim the 3 km in 1:14:55. I did notice I was second to last though and the winner did it in an impressive 40 minutes.